On the first day of April my Abu Garcia fishing reel caught a bass because it was hungry. On the second day of April my Lew’s fishing reel caught a bass because it wanted to pounce on the bait. 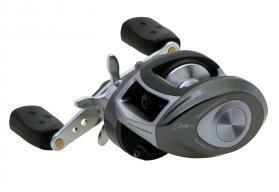 On the third day of April my Daiwa fishing reel caught a bass because it was angry and aggravated by all the constant casting. This entry was posted on Monday, April 11th, 2011 at 9:56 am	and is filed under Baitcasting Reels, Fishing Equipment. You can follow any responses to this entry through the RSS 2.0 feed. You can skip to the end and leave a response. Pinging is currently not allowed.